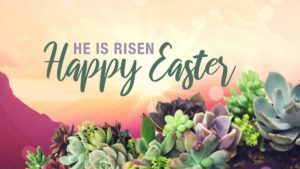 Of all the days of the year in the life of the church, none has a spirit of celebration quite like Easter, when we celebrate Jesus’ resurrection. We hope you and your family will join us as we celebrate Easter 2019. *Childcare available for preschool and under.